Providing Lytec software, training, data file repair, support and other products to help your practice adapt. Would you like to cut your Lytec IT costs by 50%? We are pleased to announce a new cloud server hosting solution for Lytec starting at $125 per month. You can have 24/7 secure remote access to your Lytec application from a secure cloud server. The solution is simple and affordable lowering your IT costs significantly. Eliminate the high costs of upgrading and maintaining a dedicated server. 2K Medical's new Lytec Cloud server solution allows you to run your practice while we manage your Lytec IT on a fast, reliable and secure cloud server. 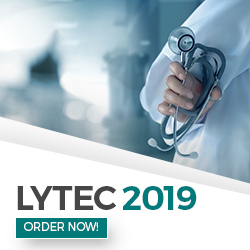 Lytec 2019 is now available. Lytec is designed to help your practice maximize your revenue as you navigate an increasingly difficult regulatory landscape as well as a shift toward patient responsibility. Lytec is medical billing software that deals with the day-to-day operations of a medical practice. With each new release it gets better and more powerful as new layers of functionality and usability are added. Lytec 2019 new features include Customizable Timely Filing Calculator; Move Credits Workflow to Eliminate Manual Tasks and Risk; Patient Email Connect with 27 filters; Customizable Appointment Schedule Views & Printing; AR Tracker Refresh Button; Advanced Duplicate Patient Record Matching; Patient Copay in Transaction Grid and Single View Hold Codes. With each new release it gets better and more powerful as new layers of functionality and usability are added. 2K Medical has partnered with some of the leading medical billing companies in the industry to provide medical billing services to our Lytec customers. Our revenue management services specialize in utilizing your existing medical practice management system to maximize practice revenue and billing performance. As a National Value Added Reseller of Lytec we can improve your cash flow, improve reimbursement, and increase your bottom line. We have developed direct electronic claims software for enabling faster payment of claims. Our services specialize in utilizing your existing medical billing program to maximize practice revenue and billing performance. Imagine the ease and convenience of submitting all your claims electronically with full on-line audits and edits right from your medical billing software. Lytec® is a proven, trusted, and affordable practice management solution designed to simplify the way you run your practice. This medical billing software is used by more than 30,000 providers to improve cash flow and increase office productivity every day. It covers all aspects of your practice from comprehensive billing, scheduling and accounts receivable management to automatic recall tracing, document scanning and robust reporting and patient statements. It is designed to help your practice maximize your revenue as you navigate an increasingly difficult regulatory landscape as well as a shift toward patient responsibility. This practice management system includes some exciting new features that will allow you to collect more per scheduled visit. The patient appointment scheduling software can also do printed appointment schedules. Lytec offers a complete practice management pm and electronic medical record (EMR) solution called Lytec MD. This medical management software includes the great features of Lytec plus a proven EMR that has helped practices of all sizes improve their quality of care and financial performance. The medical records software offers easy access to the information you need to ensure exceptional care. An extensive knowledge base includes: Web-based access to hundreds of disease and medication protocols; a broad range of progress note templates covering both primary care and specialty topics, which include guidelines for diagnosis and treatment and care reminders. Together, the advanced features in our product work together to create ease-of-use so you can spend less time with your EMR, and more time with your patient. One Touch Sets Everything in Motion.